The big game for my alma mater is coming up soon. Every year since I can remember two of the local AZ universities duke it out on the field on Black Friday. While we aren’t in the middle of the action anymore like we used to be when we marched for the Pride of Arizona, we can still bring some of that game time magic home with good eats! 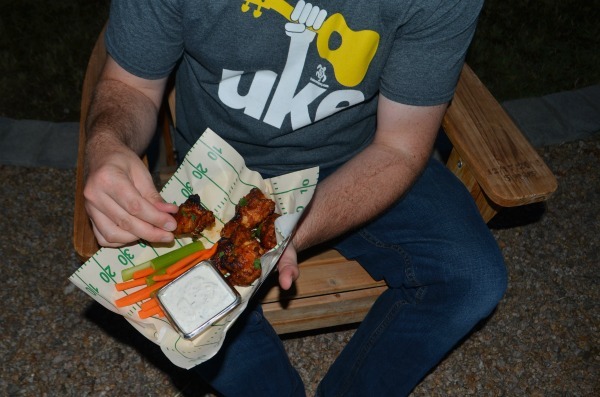 For this weeks festivities we decided to serve up Foster Farms Honey BBQ Glazed Wings. Wings, ranch and a side of crudites just go together so well, so I decided to whip up a homemade ranch recipe. 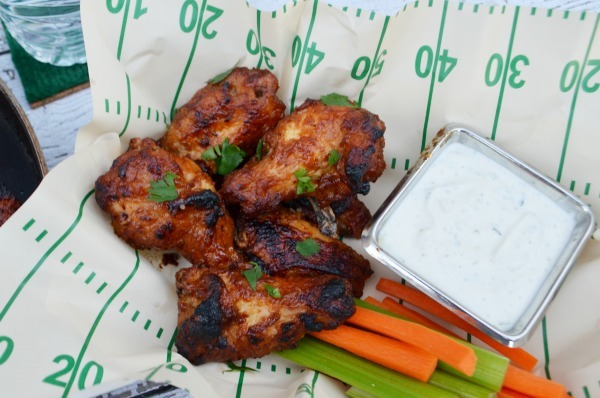 This Cilantro Lime Ranch Dip is the perfect pairing for the Sweet and tangy Honey BBQ wings. For the ultimate game day spread I like serving up filling appetizers in fun containers. 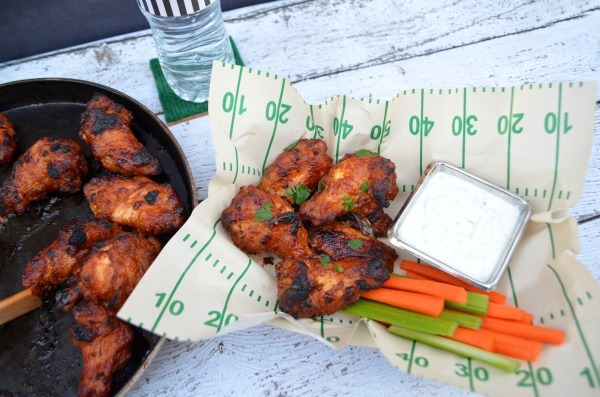 These football food boats and liners are the perfect addition and reminiscent of eating your favorite stadium food. 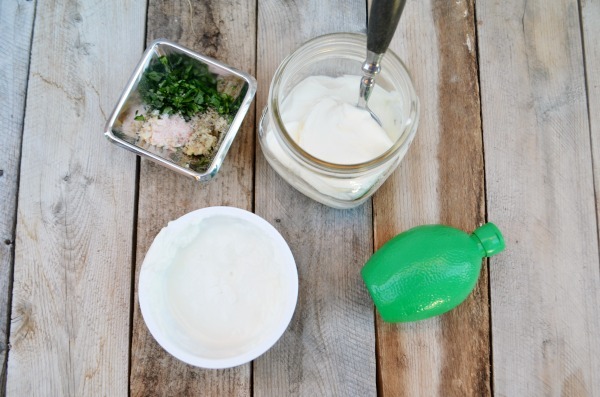 Provide guests with a container for a healthy portion of Cilantro Lime Ranch for dipping too! For drinks I like continuing with the classic football theme turning water bottles into refs and soda bottles into footballs. 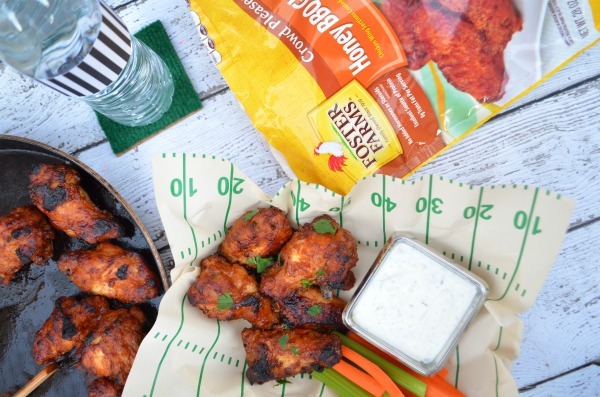 It’s a simple addition to really bring your homegating party to the end zone. Whipping up this cilantro lime ranch dip is super simple. We like to use greek yogurt in our dips to add a little extra thickness and protein, but you can replace it with sour cream if you’d like. 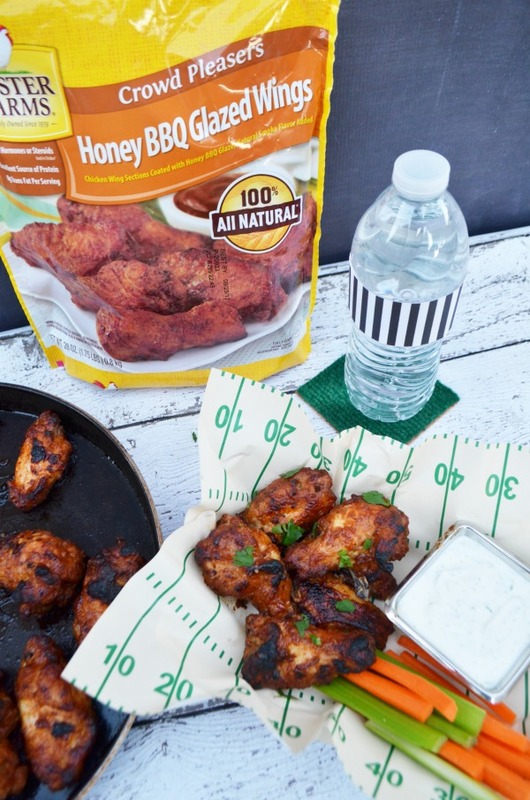 Whip it a couple hours before kick off or the day before and refrigerate until you’re ready to serve with hot and tasty Foster Farms Honey BBQ Glazed Wings. Thick and creamy ranch dip with a tangy cilantro lime kick. Whisk all ingredients until thoroughly mixed. Refrigerate a couple hours before serving to allow all the flavors to combine. 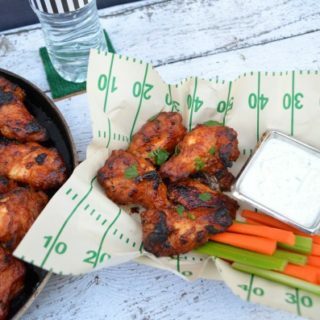 These look delicious and I love the dip you made to go with them!